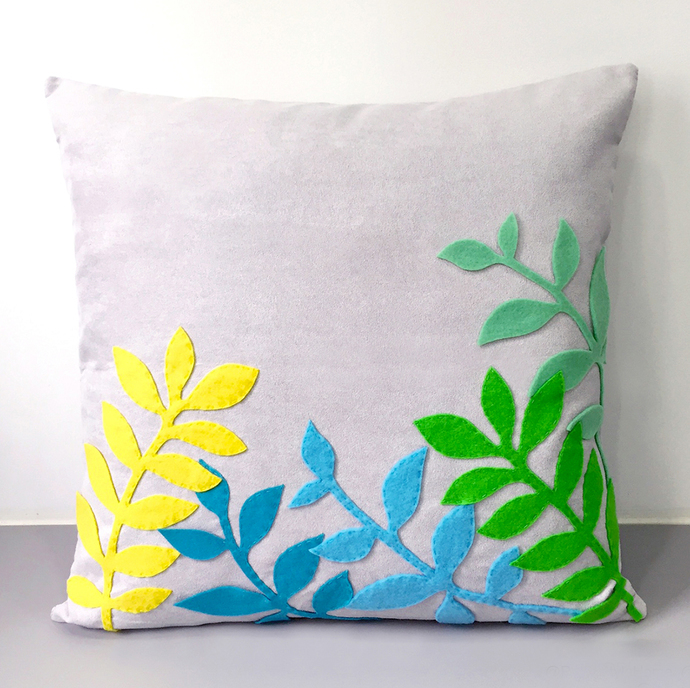 A decorative pillow cover with contemporary leaves for your home corners, front porch and perfect as housewarming gift too! *It is 17inch x 17inch. Fabric is very soft Suede in Light Grey color, with zip at the bottom for insert removal. 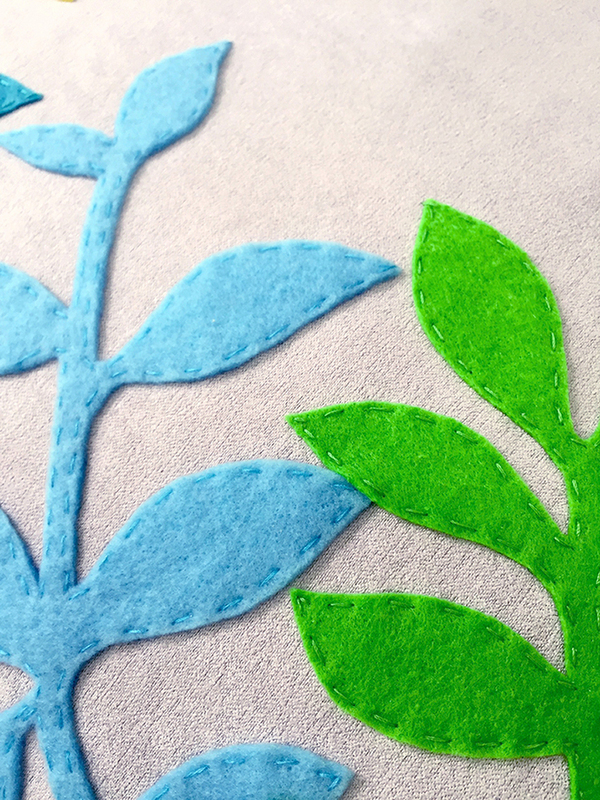 *Leaves are hand-cut of recycled Felt, hand-sewn with love on the front panel only. *Custom leaves colors? 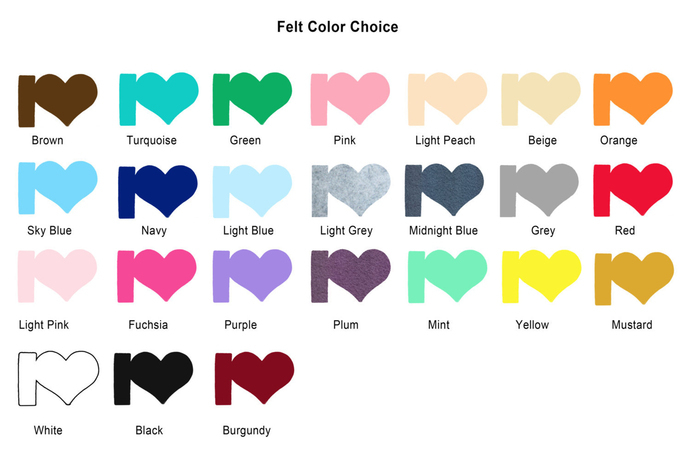 Please see the picture for 'Felt Color Choice' and tell me what you want : ) Contact me. 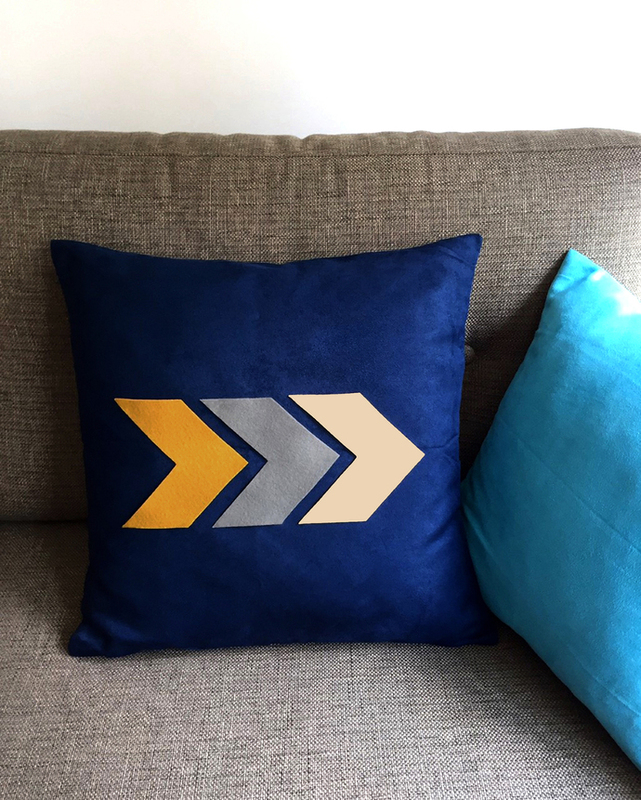 *Other base colors are available, navy base are shown in Last picture. *Do not iron on this material!